Use sweet quotes about guys when it's hard to express yourself in your own words. Some quotes out there may summarize your relationship beautifully. Even the most rugged, masculine man can enjoy being told sweet things, particularly when the sweet things come from someone special. Below are some sweet love quotes for the guy in your life. There is nothing more comforting than his arms around me. I know he would travel to the ends of the world for me, but does he know I would do the same for him? He carries the weight of my love for him in his heart - it's a good thing he's strong. There's no sound sweeter than his footsteps approaching. If there was indeed life before I met him, I don't care to remember it. My very best days are all the ones that include him. If you see me pause, it's likely I'm silently thanking fate for my man. The man of my dreams stands beside me in my waking hours. His strength is my strength and my love is his love. No matter what life throws at me, I know he's in my corner. Not many famous sweet man quotes exist, but there are more than a few quotes from famous people about their love for men. If your man has a favorite celebrity, quoting that person in a saying of admiration can be quite meaningful. Many of the sweet quotes about guys are focused on love more so than the gender and several of them are quotes meant to bash men (jokingly or seriously) rather than sing of their virtues, but it is possible to find nice quotes that are just about guys. Whether you're looking for something sweet to say to your boyfriend on his birthday or if you simply want to find a way to express your love in a brief saying, plenty of examples exist online to guide you along. From romantic phrases that are pre-written to cute love quotes, you don't have to start from scratch. You may love reading sweet quotes about guys because they remember you of your own boyfriend or because you long to find someone special. What are the other uses of nice, romantic quotes about guys? Write them on sweet little notes and give them to your boyfriend. Create a gift for your friend who is in a great relationship (or one who is just a hopeless romantic) and add the quote as a part of the art. Make something for yourself. If you like art, you could take a favorite quote and add it to a painting or drawing. If one reminds you or your significant other, you may even want to add it to a picture frame and put a picture of the two of you together in it. Send sweet text messages while away from your man. 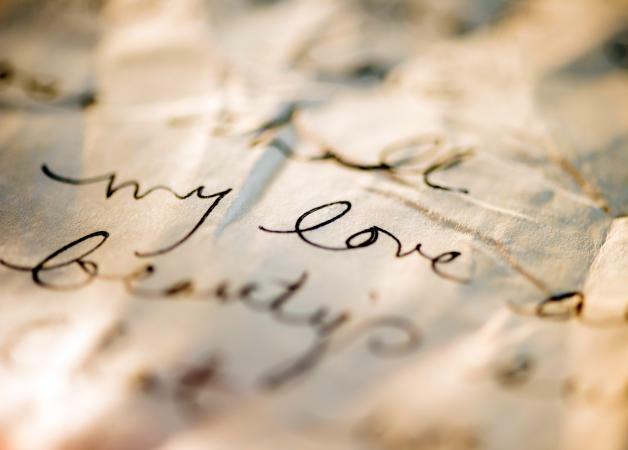 Compose a love note and slip it into his pocket for him to find later. Be sure that the quote you choose to express yourself to your lover is appropriate for the current stage of your relationship. If your guy is far from the mushy type and you haven't said "I love you" yet, steer clear of the eloquent, poetic quotes that speak or strongly allude to love or a lifetime commitment. Instead, choose the cute, short ones with a witty side. If you're creating art for yourself or a friend who would understand and appreciate your work, you can of course choose anything you like without fear of scaring off a new significant other.